Finding the perfect gift is never easy. Ideally, it is practical, lightweight, portable, and easy to use. If your recipient is a traveller like us, it becomes more challenging. I am referring to one who travels light. It changes things a bit. We need useful travel gifts that are super lightweight and functional, or they are not going with us. The more we travel, the less we bring. We are very selective, and test out many products before we find ones that make the cut. What you will find here are the best of the best. From unique travel gifts to purely functional items, it has taken us years to find what we believe to be the best gifts for travellers. Whether you travel light or bring the kitchen sink, the products here are our best recommendations updated for 2019. 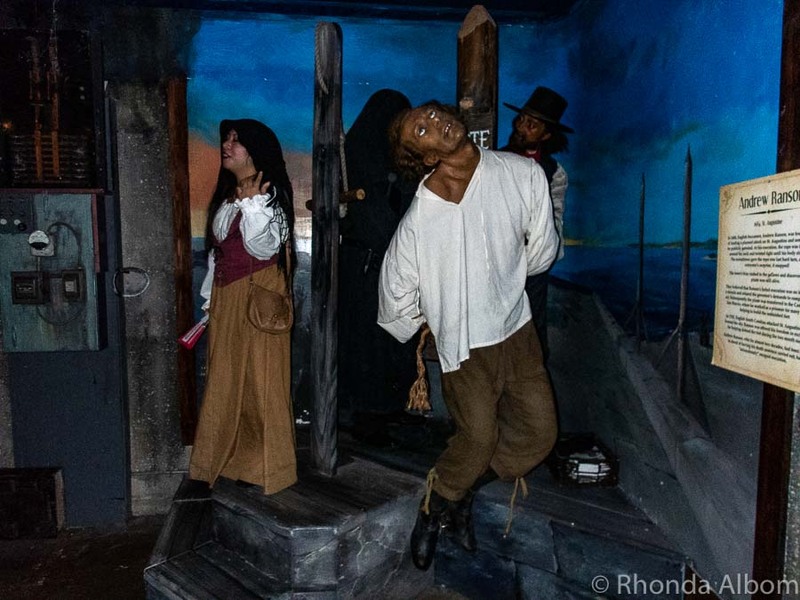 We have firsthand experience with all of it except our wish list at the end. Full disclosure: We receive a small commission from most links on this page. There is no extra cost to you. In fact, in many cases, we are offering special deals or coupon codes so you can save money. 15 Which are your favourite useful travel gifts? A portable luggage scale is one of the most valuable items we have. Travelling light, we never check more than one bag for the family, and often go just carry-on. In today’s world of charging exorbitant fees ($50-$200) for overweight luggage, being able to monitor while packing is invaluable. 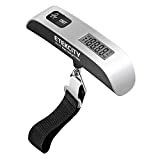 The Etekcity Digital Hanging Luggage Scale measures in either kilograms or pounds and has precision accuracy up to 50kg (110 pounds). Importantly, it adds only 57 grams (2 oz) to our weight load, a small sacrifice to make to save huge penalties for being overweight. Allow for the 57 grams if you’re packing it in your luggage. This is the best luggage scale we have seen. Sometimes, great things really do come in small packages. The Olympus Tough TG-5 is all that and a bag of chips! 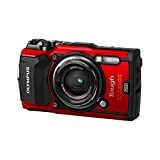 It’s a compact point and shoot designed for adventure. Olympus made it waterproof, shockproof, crushproof, freezeproof, and dustproof. It’s a tough little camera perfect for any sports and it can shoot in high-resolution RAW stills or HD 4K video, if desired. Best of all, it’s a camera for everyone. Automatic settings allow anyone to capture great shots or, use one of the special presets for people, motion, indoors, nightscapes, scenery, underwater, or close up. Click here to see some of the underwater shots I have taken on the TG-5. 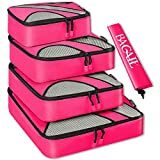 eBags packing cubes make travel organization easier, packing quicker, and now, we rarely lose things. I’ll admit, I thought they were a silly extra at first. Then I gave them a try. Today, I wouldn’t travel without them. Hubby and I each pack two: one for our clothes, the other for undies and pajamas. Plus, we use one for our emergency kit and another for electronics. We have an older model of these, and they are still in great shape. These are super lightweight, weighing only 227 grams (8 oz) for the entire set. 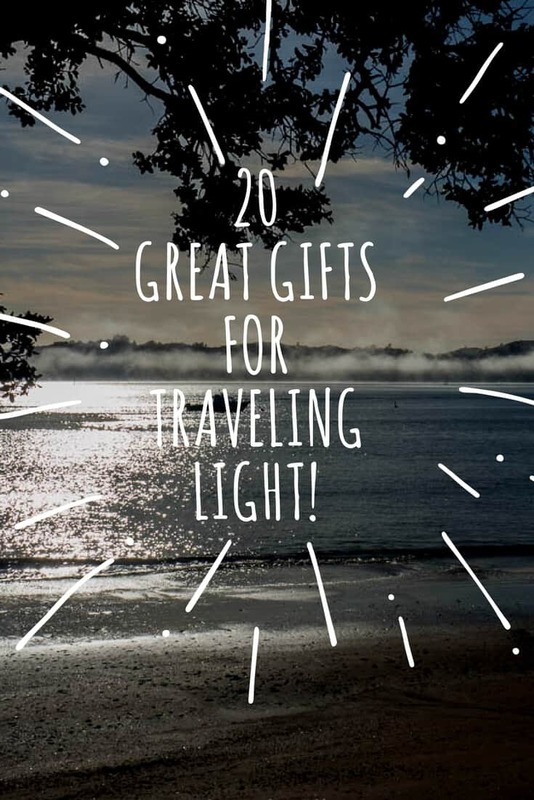 They are appreciated and useful travel gifts for friends or for yourself. We wouldn’t travel without a portable emergency and first aid kit. It doesn’t need much, but ours always has at least basic first-aid supplies (bandages, gauze and tape, antiseptic ointment, anti-itch cream, and tweezers) and over-the-counter medication for a headache, sore throat, fever, and diarrhea. To be honest, we make our own kit and store it in one of the small or extra small packing cubes above. 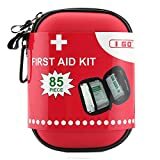 However, many people prefer a premade one, and this small first aid kit from Amazon.com looks complete for minor injuries. If you haven’t tried these yet, you are really missing out. They are perfect for travel, especially on the plane. I have no idea how they work, but I don’t need to. I simply put them on and block out the rest of the world. The music is clear and perfect, and life’s distractions are gone. 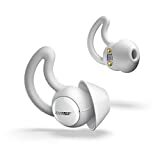 Plus, they pair wirelessly with my phone. 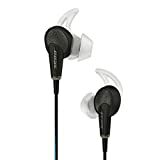 They are available as headphones or earbuds. About three years ago, I switched from a DSLR to mirrorless technology. I am currently shooting on an Olympus OMD Em5 Mark II. As it is a step up from the Canon model of DSLR that I had (now Sarah’s camera), my photo quality has improved. The image stabilization system is one of the best. What I gave up was weight, as my new camera with all its gear weighs significantly less than my former DSLR. I couldn’t be happier with my choice. Olympus 14-150mm lens: While I have several lenses for different purposes, this is my favorite for all around shooting. It is equivalent to a 28-300mm full frame lens. It is a perfect lens for indoor scenes to sports and landscape photography. Tenba Messenger DNA Camera Bag: I looked around for a while before discovering the perfect camera bag for my mirrorless camera. Weatherproof, easy and quiet to open, secure, and with compartments for all my camera gear, accessories, business cards, and enough personal items that I don’t need to carry anything else for an afternoon out. It even has a secret spot for a Kindle. Sirui Carbon Fiber Tripod: I have one model down from this one, but the reduced weight of carbon fiber would have been a better choice. 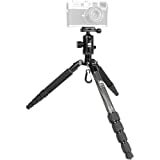 The tripod is quick to set up, has a ball mounted head, and upward folding legs, which make it more compact for carrying. I found it to be the perfect trade-off between super lightweight and steady enough for long exposure. 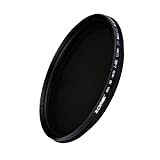 Variable Neutral Density Adjustable Filter: This is the secret to deep rich color and smooth flowing water. As it requires a longer exposure, a tripod is needed. Available in a huge variety of colours and patterns, the designs I own are the Woodstock and the Navajo. Of course, my Olympus mirrorless camera came with a perfectly adequate strap, but I wanted these for several reasons. First, let’s face it, they are colourful and fun. 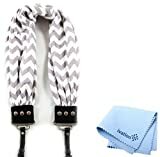 Secondly, this scarf camera strap is soft and fashionable. As a person who frequently wears scarfs, it is the ideal product. And third, and this only matters in certain destinations, they make my camera a bit more generic. Having the strap that says OMD tells knowledgeable thieves that I have an expensive camera around my neck. 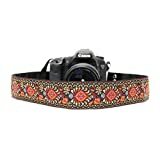 Personally, I prefer the Woodstock scarf strap as it’s soft, comfortable, and holds the weight of my camera and largest lens with no problems. In contrast, the Navajo strap is similar in weave and stiffness to my original Olympus strap, and is now being used on our Canon DSLR, a heavier camera. If you know us at all, then it shouldn’t surprise you that we include something to do with coffee. 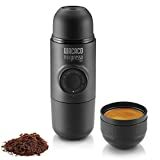 This Minipresso espresso maker is what I bought Jeff for his birthday last year. It has travelled with us since our adventure to Dunedin. It’s the perfect gift for any traveler who is a coffee snob. It’s super easy to use, self-contained, makes a delicious espresso, and clean up is quick. The built-in espresso cup and scoop make packing easy. It weighs only 295 grams (10.4 oz) and is one of the more fun travel gifts we recommend. Please note: you will need coffee beans and access to boiling water. I am not one to run out and get the latest fad item, but I have to say that I love my fitness tracker. 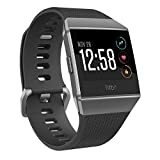 I have the Fitbit Alta HR and it has made a difference for me, especially when I am busy writing and lose track of time. Every hour, if I haven’t walked at least 250 steps, it gently vibrates to remind me to get up and move. The Fitbit does have some strong competition out there. Here are what appear to be three of the best options. 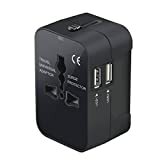 Universal travel adapter: One adapter to allow us to plug into electric power anywhere in the world means we don’t have to worry about electric availability when we travel. We use this robust, top quality adapter that lasts and doesn’t fail when we need it the most. USB flash drive stick: This tiny stick can act as my travel back up, especially for photos. I like the retractable port, name brand, and 128GB data size. A 256GB stick is available for memory hounds, but I find the 128GB is cost-effective for our on-the-go backups. Power bank: Traveling, I need to be able to keep my phone charged as it works overtime for me as a 3G router, GPS, phone, and social media hub. This power bank is small yet a critical piece of our gear. 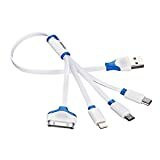 Multi USB charging cable: Preferring to carry less, we were thrilled to find a single, high-quality tool that can charge all our portable electronics (phones, Kindles, tablets, etc.) despite them having different connectors. You may be wondering why we carry sleeping bag liners since we stay in hotels almost exclusively. Several reasons; first, the silk fabric keeps us warmer in winter and cooler in summer. Secondly, it is smooth and soft against our skin, something that hotel sheets don’t always offer. Third, it is great in long car rides, and finally, sometimes hotels don’t always live up to their ratings. On a rare occasion, we have arrived to find bedding that is a bit questionable. For us, this usually follows Murphy’s Law as we have arrived late at night, the front desk is closed, our keys have been left for us, and we have no other options. Having our own sleeping bag liner to crawl into is quite useful, comforting, and healthy. Plus, it folds up to a tiny size adding only 140 grams (5 oz) to our total weight. 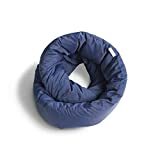 Silver 100% Pure Mulberry Silk Single Sleeping Bag Liner Travel Sheet Sleepsack 83"x33"
Similarly, we carry a microfiber towel. 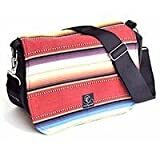 Also small and compact, it is a quick dry companion for unplanned beach stops, unexpected rainstorms, or just washing up. Antibacterial, our towel tends not to smell bad. Considerably smaller than fluffy towels, it folds easily into a mesh carry bag. It’s available in three sizes, ours is the medium size, but if I were shopping today I would get the larger one. Hammock: for that rare moment when I rest, and it even holds two people. Infinity Pillow: Looking at it, I am not sure why this one is so comfy, but the reviews are great. Drone: This one has lightweight, foldable arms and it can be controlled with my smartphone. It has a hover mode and one key return home. 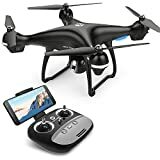 Note: If you are getting a drone for travel, be sure to check if it is legal in the countries you are visiting. Which are your favourite useful travel gifts? Excellent list Rhonda. I am thinking of a water filter-purifier. One with like 99.9999% effectiveness of course since I had giardia once already LOL. Seems a good idea to be green; far fewer plastic bottles I’d be using. A neat assortment, Rhonda! Thanks for your ideas! Never heard of the cubes but will definitely give them a try! Excellent ideas, Rhonda. I have one of those digital scales in my luggage all the time and it comes in very handy, especially on the return trip when I want to buy more stuff than I can carry (lol!). Never thought of crying a first-aid kit with me though. At least not when I travel to big, civilized places. 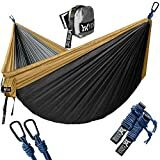 I had one when we went backpacking in Patagonia though. Such a great list! I love traveling far and often and my mom gifted me some packing cubes last Christmas. They are so practical, I love them! The packing cubes are some of my favourite travel accessories. They just make packing so neat and fast. I’m not much of a travler, but these are some great ideas. I imagine if I were a traveler I would like to not carry a ton of stuff with me when I head out! Thanks for the tips! It really depends on the traveller, but for me the less the better. I hate carrying around things if I don’t need them. Those packing cubes are really cool. I’ve been wanting to get some for a while now. I highly recommend them. They’re great for organisation and easy packing/unpacking. When I get to a new place for a few days, I just pull out my two cubes and boom, I’m unpacked! My favorite travel gift out of these would have to be the camera, to take pictures. 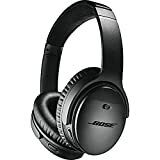 Also the noise cancelling headphones, for the noisy plane. The camera is definitely an excellent gift. The two I use now, the TG-5 and Olympus, are perfect for travel as they’re lightweight and high quality. 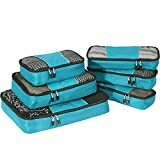 I’m pretty sure I read about them on one of your previous blogs- but I finally went out and got some of eBags packing cubes and they are terrific for my business trips – I pack each day’s outfit in a different color cube so I can easily grab it out of the suitcase. Rolling my clothing seems to have less wrinkles. Great advice! 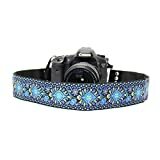 I can’t wait for my new camera strap to arrive. I am pretty excited about it. I love my packing cubes. It amazes me how quickly I became almost addicted to using them. The USB charger went with my daughter today, and the hammock, well that’s on my wish list too. Thanks Rhonda. I’m not the best with the camera but I’ve been thinking of a change and now you gave me some thoughts what to do. Boy you are smart. See ya my friend. Hey Paul, if you are never going to take a camera out of the manual mode, then my Olympus is more than you need. It will would work fine for you in all automatic, but it’s probably not the best use of money. Many great ideas for Christmas presents in your post, Rhonda. I would particularly like to buy the luggage scale, but I am not sure how difficult would it be to hang your heavy suitcase from it and lift it. I don’t think I could, unless I could place the scale on a flat surface and let that strap hang. How do you usually use that? And, you have seen my bags, and we usually travel with less, but we needed extras for the cruise. So, for me it is easy, as they don’t weigh much. It is easier to weight the bag than to lift it into the car. I attach it to the handle, and lift, using the scale as a handle. It only has to fully bear the weight, not high up like when I have to put the bag in the car. It registers almost instantly. I love my camera. It is lightweight, looks inconspicuous, and has the technology for outstanding photos. I think that depends on who you are. My hubby sure does. We get up in the morning and he grumbles when he has to drink the filter coffee (or even worse, instant) that is in our hotel room. Me, I can wait several hours, which is the amount of time it generally takes us to get to a cafe. 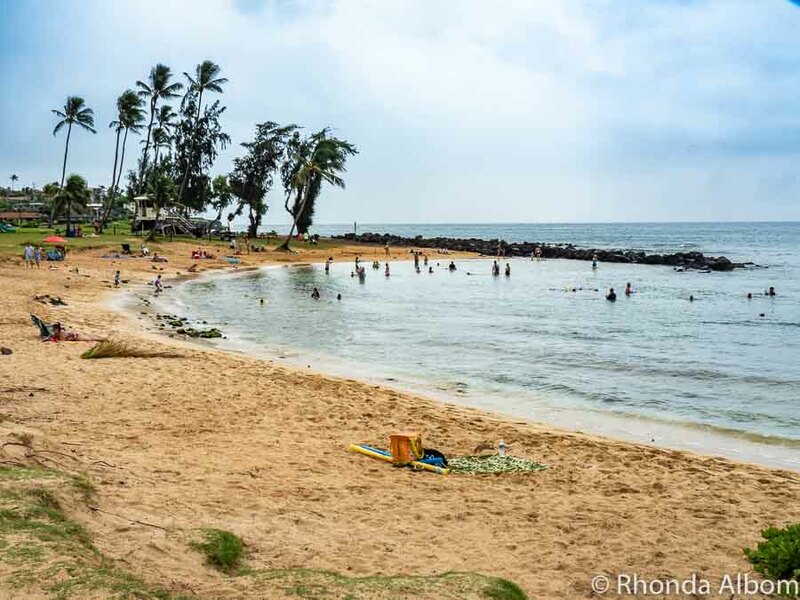 Believe me, our life was better on our last trip – which I did with carry-on luggage (a good portion of which was camera gear). I don’t travel much, but it’s still a great list. Many of these items can be used at home or on short road trips out of town. Yes, we basically pack the same for short or long trips. I brought carry-on only on our last six week trip to the states. All things that will come in handy when you travel. I can see why they are on your list and who knows better than you what’s needed. LOL – thanks Sandee. I’ll bet you could use a few of these when you sail, like the espresso machine. Yes, these are our favourite items. We have and use everyone.